TGIF my friends! 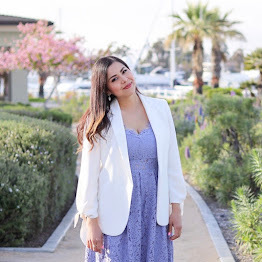 As if I wasn't jumping the gun with Spring inspired looks, now I'm pressing fast forward to a Summer look (in my defense this San Diego weather calls for it). I will say that this type of attire will come to a screeching halt this week because we are expecting El Nino rain this weekend and is all the more reason to test out some Summer attire like this! This dress from the Cabi Spring 2016 line has such great movement to it which is what caught my eye when I saw it walk down the runway at the #CabiScoop fashion show. It is just an all-around comfortable dress from the material to the elastic to the assymetrical hemline. For this styling sesh, I went super simple for a day out and paired it with the most comfortable flat sandals from Vionic. I have spoken about Vionic before (here), in that they make shoes that have technology to support your feet, well I decided to give their sandals a try and was just relishing in the comfort of the whole outfit. You are right, the casual look amazing. Also these are the best dress shoes for walking all day and they are totally adorable! I remember my wife used to make these for our daughter and kept one as a memorabilia - precious times!